The coming of Halloween is a good time for Christians to remember that evil spirits are real and that the Devil will seize every opportunity to trumpet his own celebrity. 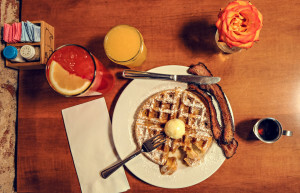 There is something more important than breakfast. Squandered time of which we are ashamed, temptations to which we succumb, weaknesses and lack of discipline in our thoughts and in our conversation with other men, all have their origin most often in the neglect of morning prayer. Order and distribution of your time becomes more firm where they originate in prayer. Temptations which accompany the working day will be conquered on the basis of the morning breakthrough to God. Decision demanded by work become easier and simpler where they are made not in fear of men but only in the sigh of God. “Whatever your task, work heartily, as serving the Lord and not men” (Colossians 3:23). Even mechanical work is done in a more patient way if it arises from the recognition of God and his command. 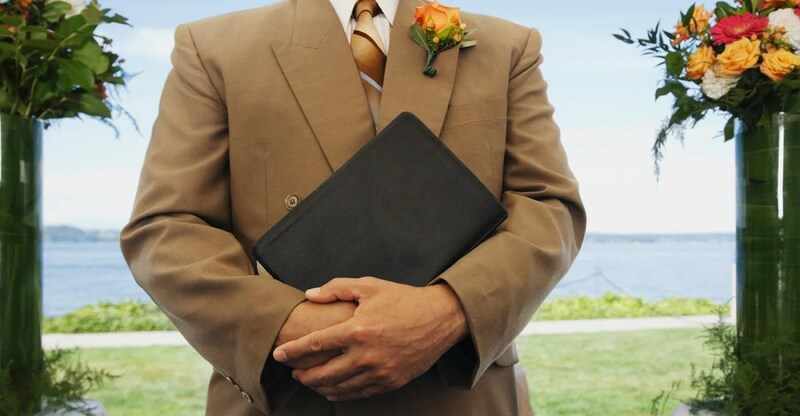 When Eric Metaxas, author of “Bonhoeffer: Pastor, Martyr, Prophet, Spy,” first read about the Houston city government subpoenaing the sermons of five church pastors, he said he couldn’t believe it. But once Metaxas got deeper into the subject, he said he knew “a bold red line” had been crossed. “If there was ever a time to throw the tea into the harbor, this is it,” Metaxas told Fox News. The subpoenas involve sermons that may focus on homosexuality or Houston’s contentious equal rights ordinance supported by Mayor Annise Parker, the first openly gay mayor of a major U.S. city. While Parker had seemed to back down from the wording in the subpoenas, calling the language overly broad, the controversy appears far from over. And beyond the widespread outrage over what seems like a strike against religious freedom in America, Metaxas sees “chilling” parallels with the social and political climate of 1930s Germany. That time and place is the backdrop to his best-selling book about Dietrich Bonhoeffer, the Christian leader who was jailed and later executed for plotting to assassinate Adolf Hitler. Quantity does not mean quality. This is just as true for ministry, as it is for anything else. It is safe to say that the Gospel become one of the most watered down doctrines and messages in all Christianity, becoming more about numbers gained, than lives saved. Many in the Christian community have taken this precious, heart changing, life altering doctrine and turned it into spiritual fast food. 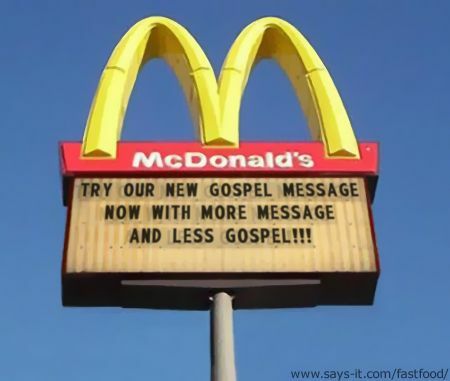 Just as fast food restaurants like McDonalds take food, which once possessed some form of nutritional value, and turned it into mass produced, empty sustenance, Christian’s have done the same with the Gospel. Similar to McDonald’s or any fast food chain, the modern day interpretation of the Gospel, may provide quick and easy nourishment in the moment, but long term is not a source of significant fulfillment. A high cost for cheap food. Awoke with a sense of urgency. It’s three a’clock in the morning. My sense is that we are indeed in a new time with new possibilities. There has been a shift in the heavenlies. Rosh Hashanah ushered in this. It is as though a new door has been opened in heaven. Or as though heaven is open in a new way. I was recently attending the 24-7 Prayer Euro gathering in Madrid. It was truly an amazing, highly prophetic and very powerful event. Dietrich Bonhoeffer’s Discipleship, or the Cost of Discipleship, deserves to be read, primarily for the first section on grace and discipleship. Bonhoeffer challenged my thinking in regards to radically pursuing Christ. The second section of the book proved to be encouraging, though I am not sure that I quite agree how Bonhoeffer uses the text of the Beatitudes. His conclusions are great, I’m just not sure if I would get there the same way. The final section, the Church, proved to be a bit more difficult to read. This section seemed ethereal, because he uses language that is not concrete in describing the nature of the church. I believe that this section reveals that Bonhoeffer’s Christology is not quite evangelical. However, because I had difficulty interpreting all that he was communicating in this section, I hesitate making that claim based on the last section of this book. This book is quite simply one of the most profound and important books of the twentieth century. 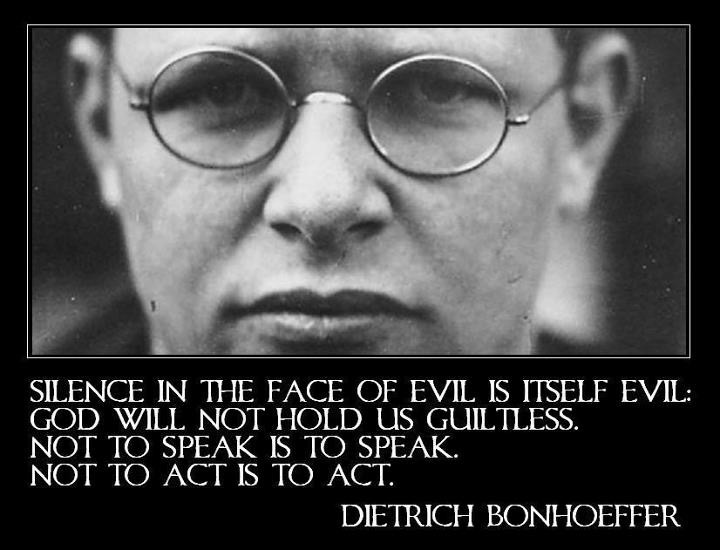 Dietrich Bonhoeffer lived his witness, and was both a thoughtful and engaging writer. He focuses on the most treasured part of Christ’s teaching—the Sermon on the Mount with its call to discipleship—and on the grace of God and the sacrifice which that demands. Viewed against the background of Nazi Germany, Bonhoeffer’s book is striking enough. At the same time, it shares with many great Christian classics a quality of timelessness, so that it has spoken, and continues to speak powerfully, to the varied concerns of the contemporary world. Check out the Logos edition of Dietrich Bonhoeffer Works, vol. 4: Discipleship for a text version.